Ol' Backwoods has some reading material for yer weekend. 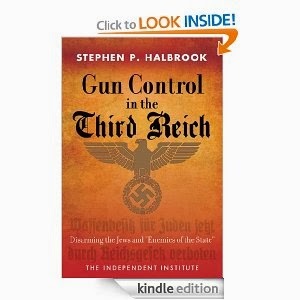 First, Stephen P. Halbrook's excellent book, Gun Control in the Third Reich: Disarming the Jews and "Enemies of the State". Ol' Backwoods has the Kindle edition on my iPhone. You'll want to listen to the 2nd hour of Armed American Radio this last week, where Mark Walters has Stephen Halbrook on. This man is brilliant, and he is a shooter himself. Most of the original source material in the book was in German (duh), and in the old German alphabet. In the news: Colorado wants to JAIL a Fox reporter for revealing that the Aurora movie theatre murderer may have been under the influence of a state-paid psychologist prior to the murders? And NEW YORK has better law protecting reporters than Colorado? Judge Napolitano has a great editorial that I just linked, there. What is HAPPENING to Colorado? It used to be a place where the Constitution was revered. For, sooner or later, if you convince [us Constitutionalists] that [we] cannot find redress within a rigged system for the attacks on their natural, God-given, and inalienable rights to life, liberty and property that are merely codified in the Constitution (not created by it or subject to repeal), then [we] will seek redress outside of it. This is also natural, as we are Americans and we are a practical people. If the system has become so corrupt and unconstitutional as to no longer protect our rights, then we will make our own arrangements. 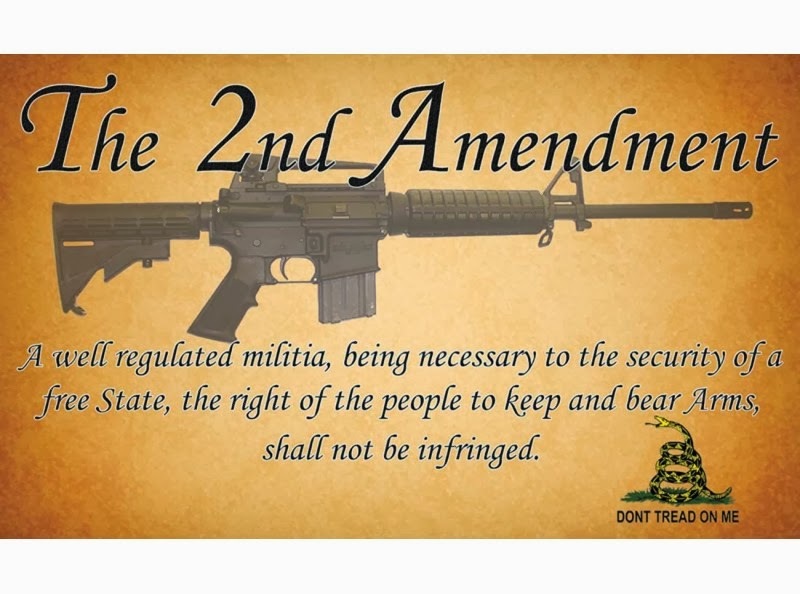 So, as for the people who have actively worked to restrict our rights, I think this falls under the heading of the familiar Chinese admonition, "Be careful what you wish for, you may get it." bladed stance and a high elbow. 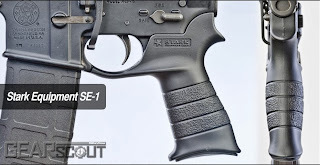 But today, body armor and enhanced understanding of body mechanics during shooting and weapon manipulation has lead to changes in how a rifle is shouldered. Emerging doctrine now teaches us to shoot with shoulders squared up to the target and elbows tucked in for stability–and to keep from getting shot in the arm. Ol' Backwoods shoots his AR with elbows in, and therefore likes the shallower-angled AR grips described in this article. Oh, and by the way, most are so-called "gun-free zones." And they got Atlanta (don't be "downtown after dark") pegged, in my opinion. Speaking of Commies, here's a 1940's comic warning about a scenario for Communist infiltration and takeover of America, that could still happen, and maybe still is. ... 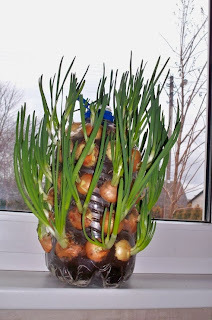 I came across an image of spring onions grown vertically on the windowsill, using a common 5 Liter PET bottle, which I thought was a practical, space-saving and green way to grow onions. 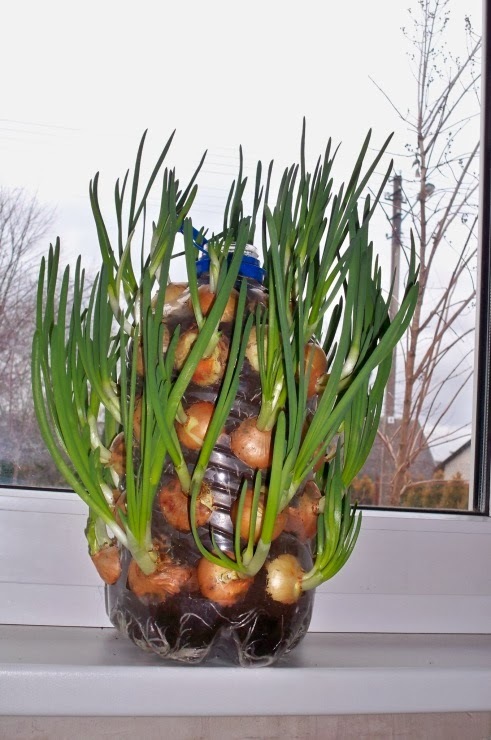 Check out the article for instructions on how to build an onion planter out of a water bottle. 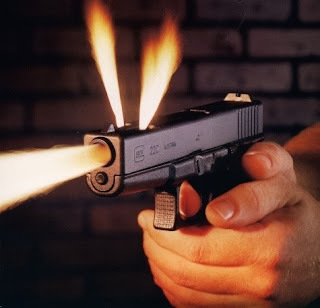 Glock 22c; ported barrel flash visible. In the news from my neck of the woods, Ol' Backwoods has taken to carrying the Glock 22c openly, when going shopping and whatnot. Had a real nice conversation with a lady in Wal-Mart who was looking for an inexpensive (<$300) deer rifle for her husband. She was very nice and friendly, and I was the same (naturally), and gave her some advice on deer rifles and calibers. She didn't even seem to notice the big Glock in the leather holster at my right side. It's nice to live in a Free State. Now, go listen to my friend Lucas at Triangle Tactical Podcast. He's got the down-low on this story, and he's fun to listen to, to boot.